A year ago we were looking for new activities for our youth, and we began to do music workshops. Until then, we didn’t actually have a youth group in our church, but a few church kids had just become teenagers, and we wanted to find a way of reaching as many young people as possible, so that’s how our music workshops started. 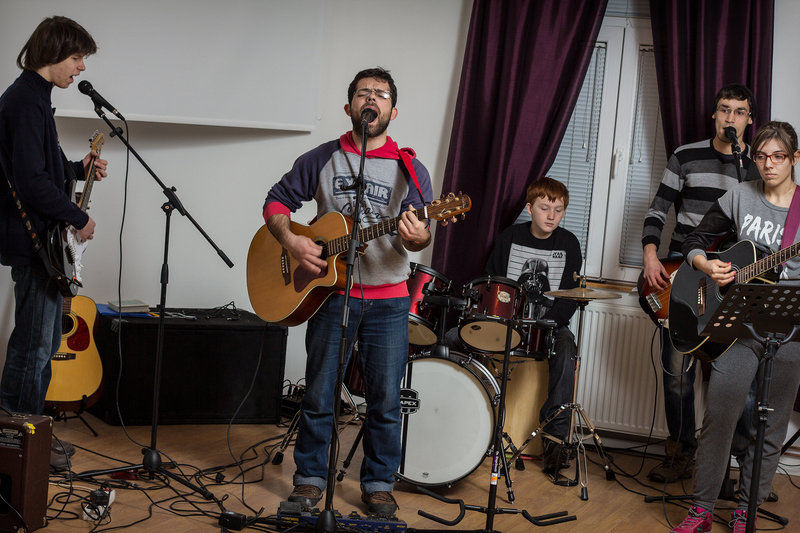 The music workshops that take place in our Church building offer young people a safe place where they are accepted, and where they can realize their value and discover their talents. 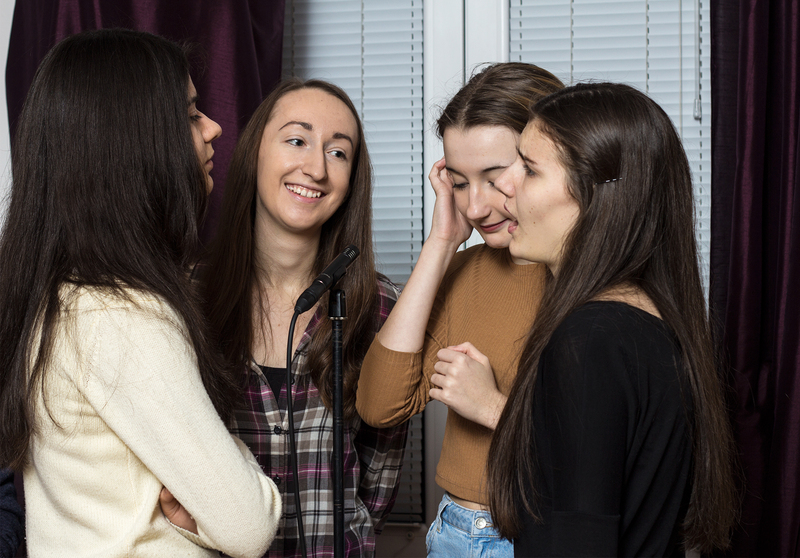 Over the period of a few months we have been able to see a transformation in them – although they were self-conscious in the beginning, they now spend time together, encourage each other and work together on learning new music skills. Through our program that takes place every Saturday for two hours, we have ice breaking activities, practical music lessons – singing and playing their chosen instrument – and also a discussion time on a theme that affects young people, offering a perspective based on Christian principles and God’s word. It’s a great opportunity to share our faith as it’s aimed at unchurched youth. The young people from the workshop are invited to other church events, and about ten of them have already visited our Sunday meetings. Two of the older teenagers came along to church for about a month, after which one of them continued and has now become a Christian. He comes to other church meetings, wants to know more about God, prays with us … and still comes to the workshops. Another teenager, who used to call himself an atheist, came along to church to see what it was all about. He used to be very negative about Christianity, and yet he is now totally different towards us. He’s even started to have a positive influence on others at the workshop and has brought his girlfriend along. From October 2013 until January of this year, the number of young people at the workshops has grown from 3 to 18 who come regularly, five of whom are Christians. After a few months of regular workshops, we organize a concert – to show what we’ve learned, and for the group to get encouraged by their own performance. In the course of a year, we organized two major public appearances, and two smaller ones in our church building. We had a concert two weeks ago, as a crown action for the first part of the school year. 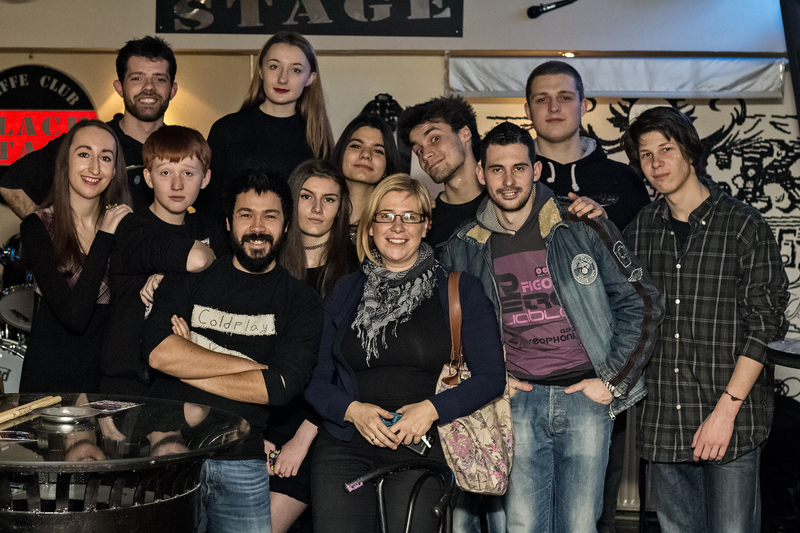 We had about 50 guests who came to see us – parents, friends… The concert was a success and very well done! We had some good conversations with parents. Some of them were very happy that their child is doing an activity within the church, since that for them is a guarantee of good company and safety. We are now expecting to have new members from among those who were guests at the concert. We are very encouraged by these results. We believe that we are on a good way, and that we will reach many more young people through this program. Pray with us that they become Christians while they are in their youth.